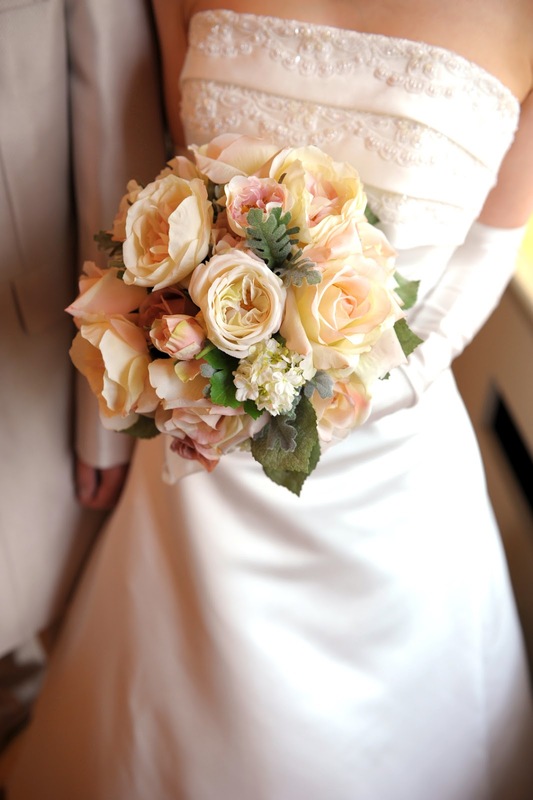 Have you ever wondered why do all brides have a bouquet on their wedding day? You know how there’s always a romantic story behind every little details of wedding and same goes for the bridal bouquet! We will share everything that we know right here with you! It was said centuries ago, a young man wanted to propose to his lover but did not have anything on hand. He saw many beautiful flowers along the way and started picking them into a bouquet, all ready to ask her hand for marriage. When he reached the lady’s place, he proposed with the bouquet of flowers and the lady immediately said yes, of course. She then picked one stalk out from the bouquet and placed it in the man’s pocket – which have now became the custom of wearing a corsage for the groom. And this is why we always use the same type of flower for the bouquet for the bride, and the corsage for the groom! The “flower language” originated in Turkey, where people started to convey their messages by sending flowers to their loved ones. Each flower has its own meaning, hence before deciding on the flowers to use on your wedding bouquet, do look up the special meaning behind these flowers!